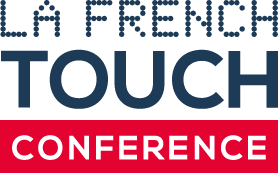 On Tuesday, May 29, La French Touch Conference held its 8th edition, which was organized in Paris! This year, the event gathered more than 300 French and international participants as well as 23 French speakers coming from all over the world! Here is a throwback to the inspiring talks given by these wonderful entrepreneurs from the French diaspora. All the videos are now available on Youtube! The conference began with a session essentially focused on China. Ludovic Bodin, Managing Partner at Kalibrio Capital and co-founder of La French Tech Beijing; Benjamin Joffe, Partner at HAX Ventures and Laure de Carayon, CEO & Founder of China Connect introduced the successful Chinese entrepreneurial ecosystem beyond prejudices. During her fireside chat, Laure de Carayon talked about the evolution of the Chinese ecosystem and shared advice on entering a market where all actors are “modernizing but not westernizing themselves”. Ludovic Bodin emphasized on the benefits of a cooperation between France and China in the Artificial Intelligence sector. According to him, both countries have talents which turn out to be complementary. Can we create an Asian version of the Silicon Valley? China and the USA have common features, no doubt. Yet the biggest difference between Asia and America lies in the countries’ risk-taking cultures according to Benjamin Joffe. The Frenchman also underlined the importance of well preparing French companies’ for their global expansions. Scality’s CEO, Jérôme Lecat retraced his first experience in entering American market with his former company Bizanga. Which difficulties did he encounter? What would he do differently? With sometimes a humoristic touch, Jérôme shared advice on how not to miss your “American Conquest”. This year, we had the honor to host two French Government officials. Mounir Mahjoubi, Minister of State for the Digital Sector, attached to the Prime Minister, who discussed the future of La French Tech. Benjamin Griveaux, Minister of State attached to the Prime Minister, Government Spokesman, shared his vision of the Smart City ; at the crossroad of tech, entrepreneurship, and civic engagement with economic, social and environmental dimensions. Marine Tanguy, Founder & CEO of MTArt Agency created an artist management agency to promote and marketize artists. The London-based French businesswoman shared her thoughts on how to combine art and business. To her, visibility is something that needs to be worked on, even in art. Thus, it is important for art to be at the very heart of smart cities to counterbalance harmful images we are exposed to through ads and on social networks. The entrepreneur also stressed how strong messages could be sent through art. Albin Serviant co-founded French Connect London, a private club that brings influential French tech entrepreneurs and investors together in London. To him, groups such as La French Tech and French Connect London can help prevent French startups from making mistakes when they first enter the British market. Being a melting-pot, London is a strategic place, an international and creative city where there are around 5,000 French people implicated in the Tech industry. Philippe Gelis, Founder and President of Kantox gave advice and shared his insight on launching ventures in London and the difficulties one might encounter in the process. Did Brexit and political issues in Catalonia affect his business? Watch the video to find out! Julien Callède, co-founder of MADE.com, retraced the entrepreneurial journey that brought him to London and shared perks with the audience on how to tackle the British market. During his talk, Julien Romanetto, Blockchain pioneer and Founder of Arianee introduced the blockchain technology, cryptocurrencies and ICOs. Before Kennedy and his moonshots, Jules Vernes already anticipated traveling to the moon. A lot of novels seem to inspire technological progress actually. Some lead us to wonder whether literature foresees evolution or inspires individuals to achieve the unthinkable. To this day and year, 2018, humans managed to achieve everything literature had foreseen. What next? According to Alexandre Cadain, Co-founder & CEO of ANIMA, “France and Europe have the capacity to complete these big projects and moonshots and to reach out for a disruptive future.” To him, we should start aiming for moonshots and try to solve issues that haven’t been addressed yet as opposed to focusing on “mirror innovations”. A solution might be to encourage disruptive innovators through moonshot contests… Click here to understand why. Pedro Novo, Head of Export Finance at Bpifrance discussed France’s situation when it comes to internationalization: Which continents have we missed? What can we do better? In his session, Pedro Novo spread precious tips for entrepreneurs to succeed in a global expansion. Discover them just here! Stéphane Distinguin, Founder & CEO of FABERNOVEL gave his vision of tech on an international scale and shared some lessons he learned from his company’s expansion in Shanghai, San Francisco, Lisbon, New York City, and Singapore. Mohamed Haouache, Co-founder & CEO of Storefront retraced his incredible journey with us! The French entrepreneur gave a unique insight on the risks he took in terms of timing and how his business idea turned out to work so well. How did he manage to enter the American market early without failing? Watch his talk and discover more details! Alix de Sagazan, Co-founder and CEO of AB Tasty, a company present in Paris, Cologne, London, Madrid and New York City by the end of the year also shared her story on her company’s expansion and the difficulties she addressed. Audric Guillemin, Accelerator Program Manager at leboncoin introduced the company’s accelerator and one of the startups incubated, sitting beside co-founder and CEO of Solen, Clément Henry. How can a former startup and now French giant such as leboncoin assist other startups and lead them to developing a successful venture? Find the answer in the talk below! Clément Alteresco shared his analysis on the moving professional world and briefly retraced the history of coworking and the specificities of the BAP Group he founded. Did you know France was the first country to recognize e-sport players as real athletes? Angela Natividad, co-founder & COO of Hurrah, talked about the relationship between France and e-sports. She also shared her vision as an American entrepreneur based in France for more than 10 years now. At the end of the day, we had the pleasure to announce our next destination: Toronto! To introduce this very lush ecosystem, French entrepreneurs Njara Zafimehy, Marc Lavine and Olivier Ou Ramdane treated us with a wonderful panel about Toronto. Cheaper than New York, close to the Big Apple and second largest startup hub in the world, Toronto can be one of the best places to start if considering to enter the American market. It is also a breeding ground for talents: Toronto’s Waterloo University is Facebook’s 4th recruiting pool for instance! Learn more about the city’s entrepreneurial ecosystem and success stories, watch the talk below!